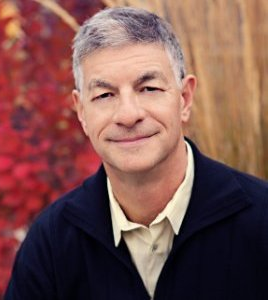 Mr. Saul Katz serves as President of Advanced Nutri-Tech Systems Inc. Mr. Katz founded of New Era Nutrition and served as its Chief Executive Officer from 1995 to 2016. In 2013, Mr. Katz commercialized New Era’s low glycemic platform technology, establishing Canada-wide distribution and sale of its SoLo GI Energy Bar line and overseeing its more recent planned expansion into the U.S. Mr. Katz has 35 years of entrepreneurship, senior management experience and scientific expertise in functional food product development and commercialization. Over his career he established research collaborations with leading scientific institutions as well as technology licensing agreements with major international firms. From 1981 to 1984, Mr. Katz served as Legal Counsel for Alberta Energy Company in Calgary. From 1985 to 1995, he served as Vice President and General Counsel for the Ghermezian family’s Triple Five Group. He serves as Chairman at New Era Nutrition. He served as a Director of Intercap Ecommerce Inc. until May 2007. He served as Secretary of Executive Committee Board Member of Alberta Economic Development Authority from 1995 to 1997. Having articled at the Department of Justice in Ottawa, he was called to the Ontario law bar in 1980 and the Alberta law bar in 1981. As a pioneer in the functional food and nutraceutical industries, he authored articles, presented as guest speaker and chaired agricultural, nutraceutical and functional food symposia. He served as Executive Chairman at Valens Groworks Corp. since July 20, 2017 until November 24, 2017 and its President since August 4, 2017 until November 24, 2017. He has been Director of Valens Groworks Corp. since August 4, 2017.